10 Best Restaurants near Capital One Arena in Washington, D.C. When you're attending a sporting event or concert at the Capital One Arena, eating close-by is the way to go. There are lots of great restaurants in Chinatown and in the nearby Penn Quarter neighborhood of downtown Washington, D.C. This area has become an attractive art and entertainment district with restaurants, hotels, nightclubs, art galleries, theaters, and boutiques. Visitors enjoy a wide range of dining experiences including international cuisine, fine dining, and casual eateries. 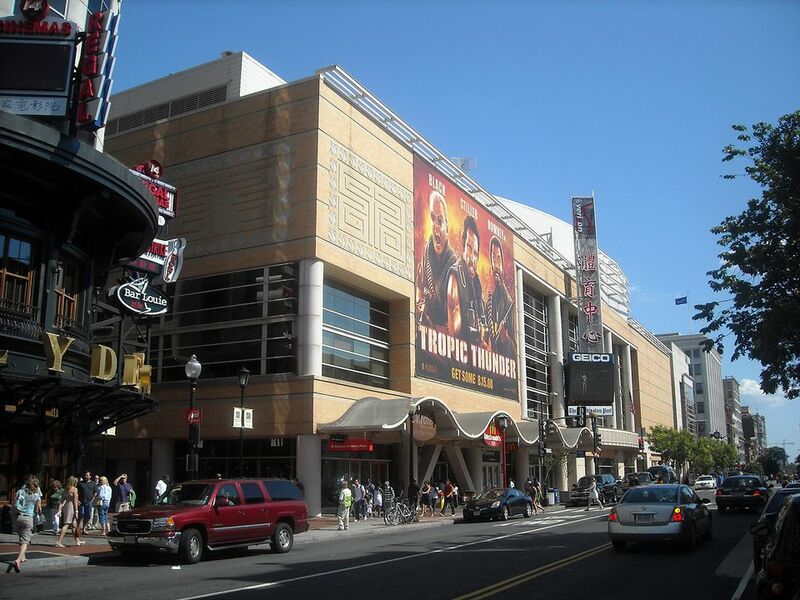 The Capital One Arena (formerly Verizon Center) is located at 7th and F Streets NW, just steps from the Gallery Place/Chinatown Metro Station. Most of the restaurants in the area are very busy before and after a big event, so you should arrive early and plan ahead. Make a reservation and give yourself ample time to enjoy a nice meal. Several of these restaurants started out as neighborhood restaurants and have grown to be a local chain so you may notice several locations listed on their websites. Experience the culture, music, and cuisine of Cuba. Cuba Libre is known for grilled entrees, tapas, and decadent rum drinks. Try a dark rum flight (three one-ounce pours) or a refreshing Mojito and then delve into dishes like the Guava BBQ Ribs, slow-cooked St. Louis cut pork ribs with a guava BBQ sauce glaze, pickled pineapple, and sliced pickles. Or, take your time and savor "The 15 Tastes of Cuba" offered on Chef-Partner Guillermo Pernot's Tasting Menu. After dinner hours on Friday and Saturdays, dance to Latin music. Jaleo blends the festive spirit of Spain with the unique personality and style of José Andres, founding chef. Go for "Sangria Hour" and enjoy sipping on the restaurant's signature Sangria with a variety of tapas. Or, enjoy a full Spanish entree like Rossejat de fideos, a traditional paella-type dish with toasted pasta, shrimp, and squid sofrito (sauce). Rosa Mexicano is a traditional Mexican restaurant with a contemporary twist. While they feature signature menu items, including Guacamole en Molcajete, prepared tableside, and a Pomegranate Margarita, they have launched into contemporary Mexican cuisine, rooted in authentic flavors. Try a house specialty like Alambre a la Mexicana, skewered and grilled filet mignon, chorizo sausage, onions, tomatoes, and serrano peppers, served over house rice with tomatillo, and tomato-chipotle sauce. Dirty Habit in the contemporary Hotel Monaco, features globally-influenced seasonal cuisine and craft cocktails. The chic urban restaurant contrasts with the classic architecture of the original 1841 General Post Office in which it’s set. Dirty Habit is known for its hip bar scene that includes an expansive atrium and a private patio. Enjoy a cocktail with small plates or experience the Asian-inspired entrees like crunch rice with shredded pork, and crispy calamari with jalapeno and pickles. Top your dinner off with a fine cigar, available at the restaurant. Modern northern Italian cuisine is served in a contemporary setting. Tosca sources fresh ingredients locally and makes their pasta in-house. Start with a fresh salad like Insala Dell'Estate with red oak lettuce, watercress, grilled nectarines, Marcona almonds and a blood orange dressing. Delve into an entree like the Costoletta di Vitello, a grilled free-range veal chop, collard greens and fontina cake, braised shallots, in a porcini mushroom ragu. Classic steaks and seafood are paired with handcrafted ales brewed on-site. Situated in a unique turn of the century bank, this casually elegant restaurant serves up aged steaks and filets, pasta and their signature meatloaf, a traditionally baked meatloaf with Cabernet mushroom sauce and crispy red onions. Lighter eaters will enjoy dishes like their Norwegian Citrus Salmon with green beans, citrus glaze, tomatoes, oven-roasted orange slices, and an orange beurre blanc sauce. Sit at the racetrack-shaped bar or dine on seafood underneath the hull-like ceiling in the restaurant’s main dining room. Order a cup of their famous New England Clam Chowder; it’s been served at every Inauguration since 1981. Their entrees run the gamut from local seafood to steaks. Try a favorite dish like Legal’s Signature Crab Cake combo with a jumbo lump crab cake, grilled shrimp and scallops, mustard sauce, and seasonal salad. Or savor the tastes of the Old South with their "Louisiana Catfish Matrimony," catfish sautéed with shrimp and andouille sausage, jasmine rice, and served with seasonal vegetables. CIRCA features Asian-inspired seasonal classics in a sleek modern setting with a second-floor bar overlooking Chinatown. The vibe is reminiscent of a neighborhood bistro and the cuisine is truly eclectic. Start with tuna poke nachos, for example, served with a sesame ginger marinade, wasabi guacamole, mango purée, wonton chips, roasted nori and sesame seeds, tobiko. Entrees range from burgers to their sesame-crusted tuna served with cucumber, avocado, grape tomato, arugula, pickled golden beets, wasabi avocado cream, sesame seeds, and drizzled with a cilantro lime vinaigrette. Green Turtle is a classic sports bar and grill with pizza, burgers and hand-crafted beer. Chow down on some of their specialties like the "Hog Hammer's Feast," a bone-in BBQ pork, with fries and slaw. Or, opt for a "Colossal Crab Cake," hand-made daily with jumbo lump crabmeat, and served with fries and cole slaw. Matchbox, in Chinatown, serves classic pizza. The building where this local chain started, is narrow, rectangular, three stories tall, fifteen feet wide, and looks like a matchbox. The narrow, casual restaurant even houses vintage matchbox collections. It's not just pizza at Matchbox, though. They have salads, seafood, and dishes such as braised short ribs served with whipped butternut squash and parsnip in a balsamic-red wine sauce. Wood-fired pizzas include the traditional with the creative pies such as prosciutto and fig topped with a roasted garlic purée, blue cheese, black pepper honey, mozzarella, and arugula.